Albert Whitman & Company, 9780807524527, 32pp. 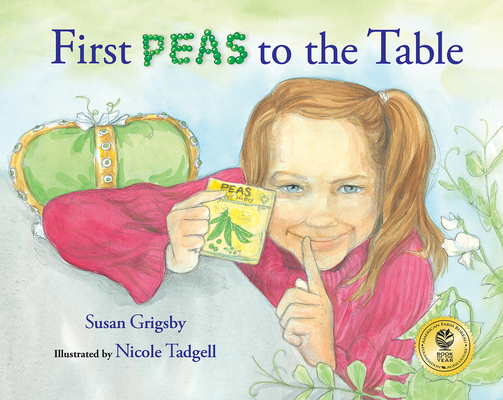 Maya loves contests, so she is excited when her teacher announces they will plant a school garden like Thomas Jefferson’s garden at Monticello—and they’ll have a “First Peas to the Table” contest, just like Jefferson and his neighbors had each spring. Maya plants her pea seeds with a secret head start—found in Jefferson’s Garden Book—and keeps careful notes in her garden journal. But her friend Shakayla has plans of her own for the contest...Susan Grigsby’s light-hearted classroom story also presents scientific and historical information. Nicole Tadgell’s watercolors add both appeal and botanical accuracy.